that a jetliner has crashed and her lover is dead. Alex Elling was a renowned orchestra conductor. the score for Alex's unfinished viola concerto. everything she's spent her life working for. Suzanne believes that she loves both Ben and Alex. Is it possible to love more than one person at a time? Does that make her affair more or less excusable? If you were in Olivia's position, would you want to meet Suzanne? If you were Ben, would you rather know or not know about Suzanne and Alex? Suzanne and Ben are aware of Petra's drinking problem, and do their best to minimize its affect on Adele. However, throughout the course of the novel, they don't encourage her to quit or seek help--at one point Suzanne offers to buy Petra a bottle of wine. Why do they enable her drinking? What would you have done in their place? Petra, Suzanne and Ben struggle with the right course of action for Adele. Ben argues that a deaf lifestyle would be better for her, and Suzanne fears that Adele would never be fully hearing or fully deaf, but something in between. Ultimately Petra decides to go ahead with the operation; whom do you agree with? When did you first know that Petra and Ben were having an affair? Do you believe Petra when she tells Suzanne that it was really about trying to get closer to her? Should Suzanne tell Ben about Alex? Has the opportunity to tell him (when he revealed his affair with Petra) passed her by? The novel ends without us knowing for sure if she confesses - do you think she did? There is a great deal of musical description in Unfinished Score. How did reading the passages that described the experience of hearing music affect you? Were you able to imagine the music? When did you first realize that Olivia, and not Alex, had written the score? What, if anything, tipped you off? Blackwell tells us only Suzanne's perspective. 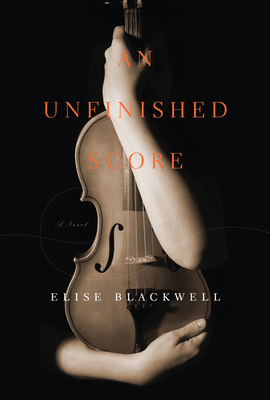 If you could pick a different character to view the events of Unfinished Score from, which would you choose? Did you find Suzanne easy to sympathize with? How did you feel about her behavior throughout the novel? Which character did you sympathize with the most, and why? Did you like the ending of the book (Ben, Suzanne, and Adele in Paris)? If not, how would you have changed it? The characters in the novel are deeply involved with classical music. Discuss your own favorite musical genre (or musician, composer, or band). Are there songs that define particular moments in your life the way that Harold in Italy defines Suzanne's relationship with Alex?